Where adventure and scenery combine in a spectacular river canyon to deliver a splash of fun for the whole family! This tour is suitable for the whole family, but still a lot of fun. 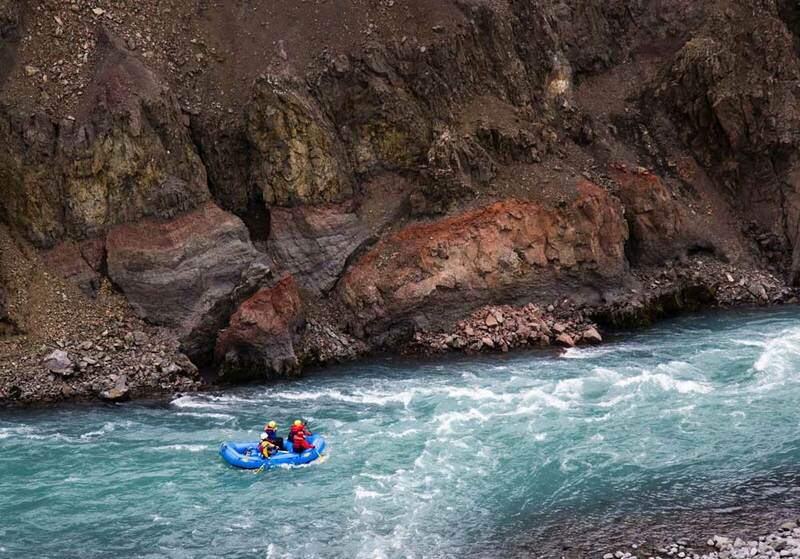 Gentle rapids keep everyone on their toes while rafting down a glacier river. Where fun, relaxation, and beautiful scenery combine to deliver a splash of unforgettable memories! 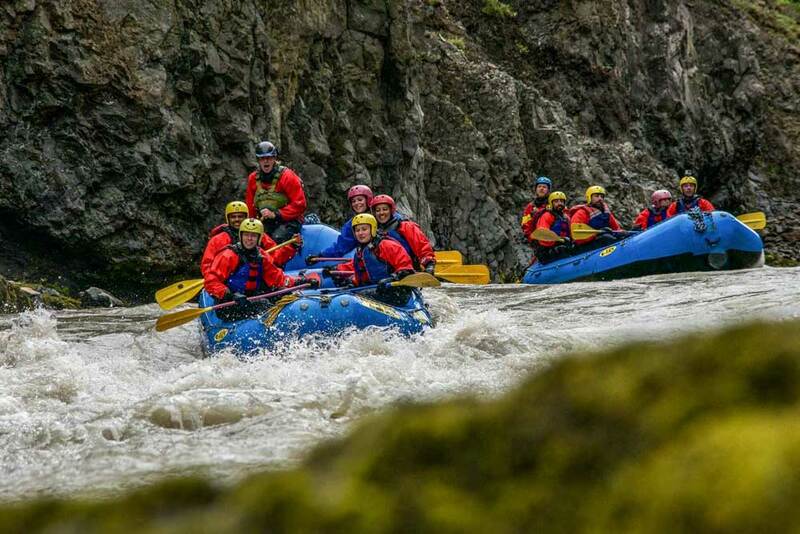 Featuring bubbling hot springs and mind-blowing scenery, this half-day trip offers everyone from the novice rafter to the whole family a gentler whitewater experience and the opportunity to explore the Icelandic wilderness from the depths of the West Glacial River’s magnificent canyon. You will have the opportunity to sample hot cocoa from nature’s own kettle, get caught up in a friendly water fight, jump in the invigorating glacial runoff, or simply kick back and enjoy the ride. Looking for more action? Check out our Beast of the East trip! 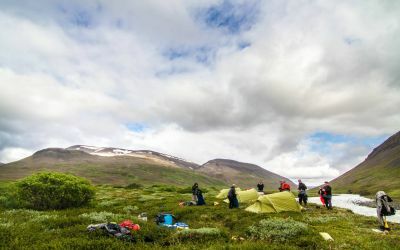 What to bring: Warm, lightweight, layered clothing made of fleece, wool, or other synthetic materials that keep their insulating ability when wet (no cotton), warm socks, change of dry clothes for after the trip. Dress for cold and wet conditions! See Getting to Hafgrímsstaðir Rafting Base. How far is Hafgrimsstadir Base Camp from Reykjavik? Hafgrímsstaðir is located about 350 kilometers from Reykjavík. See map for directions. What does meet on location entail? Meet on location means travelling to the location of the tour yourself and then meeting our tour guides rather than being picked up and taken to the location. Can I be picked up from this tour? 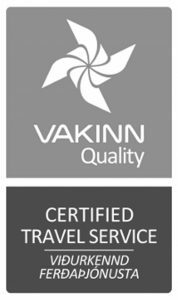 Yes, we offer a pickup service from Akureyri for an added cost of 6000 ISK per person but due to limited seating pick-up must be booked in advance. For the pick up you must be ready at Akureyri Backpackers at 07:20. You will be provided with a life vest, wetsuit and helmet for the tour and also any other necessary equipment that you may need for rafting. How is it best to be ready for a pick-up for a tour with Arctic Adventures? This is a great question. We ask all participants to be ready from the start of the pickup time indicated. This is because you may well be the first pick up of the day. Please be at your assigned location at the start time that you chose when booking the tour. Here you should wait for your guide. Have your email and phone number listed with us so we can contact you if we run into any trouble finding you. View our pick-up locations in Reykjavík. Can I drink alcohol before or during Arctic Adventures tours? Before and during activities on the multi-day tours consumption of alcohol is prohibited. If we suspect that a participant is intoxicated, we will prohibit them from joining the activity. After the activities of the day are finished, you are welcome to have a drink and relax. Do you offer any family friendly tours, for younger children? Yes, we do. Langjökull Ice Cave is a magical experience, the tour has no minimum age and is a wonderful option for the whole family. Whale Watching with our partner company Special Tours, has been a favourite with families traveling with young children, these guys have a great success rate in seeing whales (upwards of 98% in the summer time). 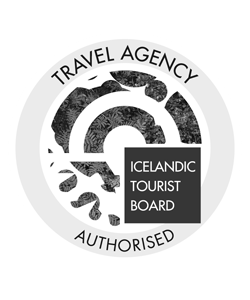 Another option would be the Landmannalaugar Safari on this tour you get to explore parts of the Icelandic highlands and bathe in natural hot springs. Most of our jeep tours are also suitable for children over the age of 6 years old. 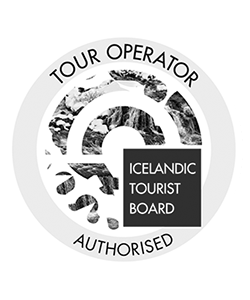 If you would like a nice and relaxing experience we would also recommend the Golden Circle & Secret Lagoon tour. Can the itinerary for the tour change? Your safety is our number one priority! Keeping this in mind, Arctic Adventures reserves the right to adjust the itinerary and/or take different routes depending on conditions. Please read more information in our cancellation policy. Is there a guide on each Arctic Adventures tour? 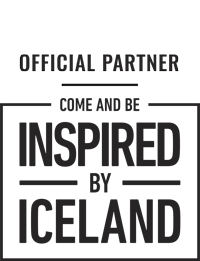 Yes, there is a specially trained and certified guide on each of our tours. The only exception to this is for our self-drive tours. All of our tours are guided in English. Can the guide advise if I am eligible for rescheduling the tour and/or a refund? No, for all your questions and concerns you would need to contact our customer service. What type of power outlets are used in Iceland? Do I need to bring an adapter? The standard in Iceland is 230V and 50Hz and we use F-type power sockets and plugs, so you might have to bring an adaptor if you are visiting from UK, USA, Canada or other countries using a different voltage, Hz or plugs. How are the tours rated in terms of difficulty? Our tours are split into four different categories that help participants to understand what to expect from the tour. The categories are Easy, Moderate, Challenging and Demanding. Each tour is rated making it easier to find tours that suit you. For further information about the difficulty ratings and descriptions. Do I have to know how to swim to go on river rafting with Arctic Adventures? Yes, absolutely, each paddler on a rafting boat has to know how to swim. 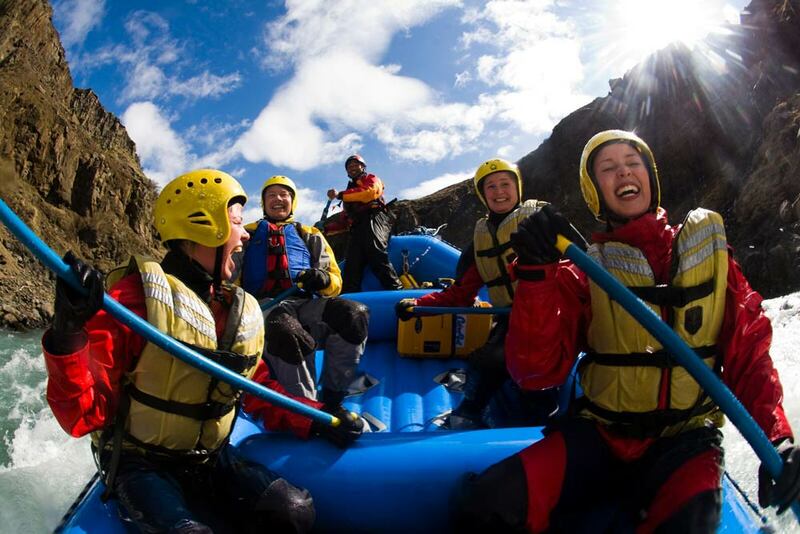 What is the minimum age for a participant on a river rafting tour with Arctic Adventures? On the Gullfoss Canyon Rafting, the minimum age is 11 years if accompanied by a guardian. On the Wonderful West, the minimum age is 6 years if accompanied by a guardian. On the Beast of the East, the minimum age is 18 years. On the 3 Day River Rush the minimum age is 18 years. Can I bring my camera with me on the raft? Yes, you can bring your camera if you like, but if it is not waterproof then it will 100% get ruined. At Drumbó your options are: bringing a waterproof camera, renting a GoPro from us or buying a disposable waterproof camera. At Hafgrímsstaðir your options are bringing a waterproof camera or getting a copy of the photo/photos one of the guides takes during the tour. A photographer/guide is not a guaranteed part of the tour, so should you wish to arrange photos in advance, please let us know and we will make sure to have a photographer along on the trip. Does Arctic Adventures provide life jackets on river rafting trips (personal floating device)? Yes, we provide life jackets for everyone on the tour. Is there a guide in each river rafting boat? Yes, there is a specially trained and certified river guide in every boat. How does the river grading system work? Fast moving water with very small waves and without obstructions. Passages are obvious and easily navigated. Risk to swimmers is slight; self-rescue is easy. Simple rapids with regular small waves, easy eddies, and gradual bends. Wide, clear channels make navigating easy without scouting. Little manoeuvering is required, and rocks and obstructions are easily avoidable. Rapids that are at the upper end of this difficulty range are designated Class II+. Rapids with strong currents, large waves, powerful hydraulics, and obstructions that may be difficult to avoid. Controlled manoeuvres are often required to navigate, although passages are simple and have relatively little objective danger. Scouting is advisable for inexperienced parties. Rapids at the lower and upper end of this difficulty range are designated Grade 3- and Grade 3+ respectively. Difficult yet predictable rapids with large, irregular waves, boiling eddies, powerful hydraulics, steeper gradient, and some unavoidable obstructions. Passages are often difficult to recognize, and require precise boat control and skillful manoeuvering to navigate. Scouting is likely necessary for safe passage, and self-rescue is difficult. Rapids at the lower and upper end of this difficulty range are designated Grade 4- and Grade 4+ respectively. Long, powerful, obstructed, and unpredictable rapids that expose paddlers to significant danger. Rapids are steep with large, unavoidable waves and major hydraulics, congested chutes, and many obstructions. Complex, demanding routes require precise boat control, “must make” moves, and a high level of mental and physical fitness. What eddies exist may be small, turbulent, and difficult to reach. Scouting is necessary but may be difficult. Swims are dangerous, and rescue is often difficult even for experts. Proper equipment, extensive experience, and practiced rescue skills are essential. All previous difficulties increased to the absolute limit of practicability, suitable for teams of specially prepared experts only. Runs of this classification are rarely attempted and often exemplify the extremes of difficulty, unpredictability and danger. The consequences of errors are very severe and rescue may be impossible. How far is Drumbo Base Camp from Reykjavik? Drumbó is located about 98 kilometres from Reykjaík. See map for directions. What are the facilities like at Drumbo Base Camp? What should I bring/wear on a river rafting tour at Hvita? For lower body: Swimming wear (or a change of underclothing) to wear under your rafting pants and/or for the sauna and warm woollen socks. For the upper body: Bring a warm fleece or a wool sweater to wear under your rafting jacket (it will get wet), any necessary medications (asthma inhalers, etc.) and a towel to dry off after your trip. Everything else we will provide. Can I combine River Rafting with other activities in a one day tour? Do I need to bring an extra set of clothes? It is recommended that you bring a spare set of clothes as you will get wet when participating in Rafting. It will mean that you are able to change into nice dry clothes when the activity is finished. Enjoy beautiful landscape from a new angle! 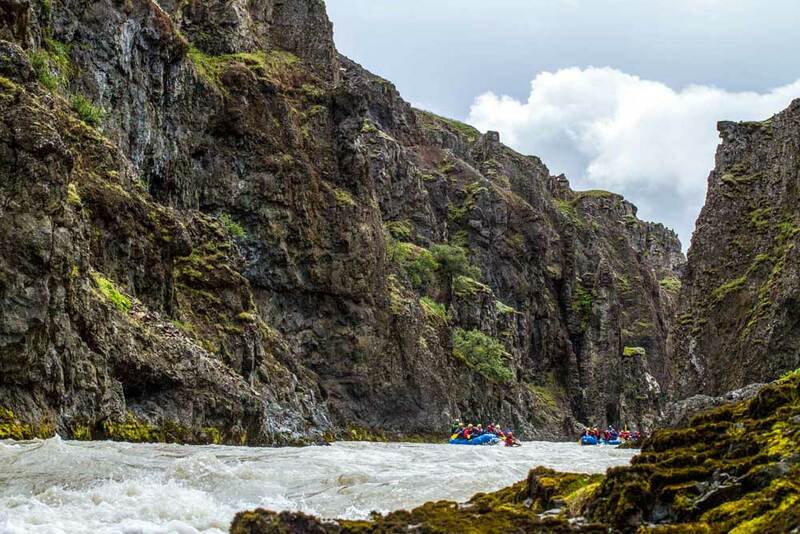 Rafting down the Hvítá river is a splendid way to spend the day. 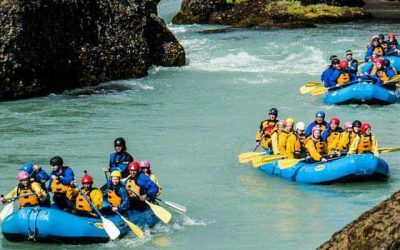 Guided Golden Circle and river rafting tour not to be missed: the classic day tour in south Iceland! 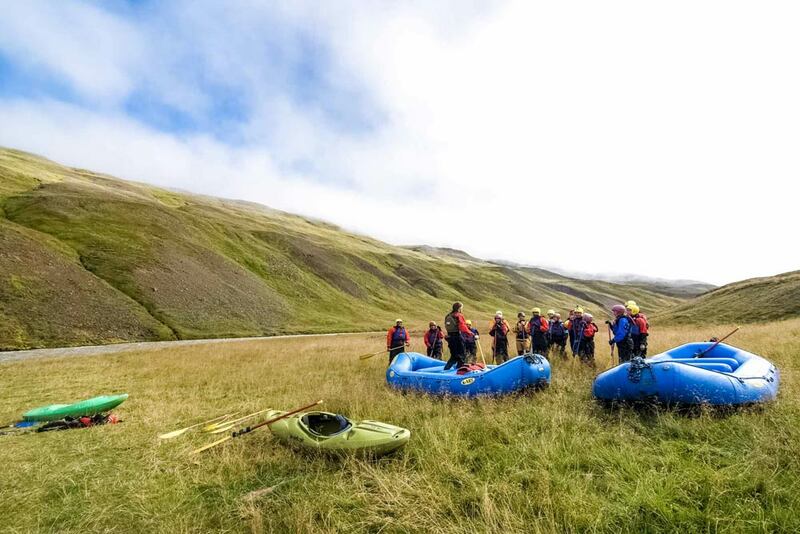 A self-support rafting expedition down the entire East Glacial River from its source at the Hofsjökull glacier in the Northern highlands.